I know I said we would work on staying out of the shops during a “no-shop week” and we’re working hard at that. We now have to worry about us going back into the shop a second time in the same week. It’s not much and we aren’t over budget and some of you might laugh but for us we are trying to work at making this a way of life so we aren’t spending more in the grocery budget. It’s all these triggers that keep popping up that make us think about our actions. If we went out everyday to a new grocery store I’m betting it would make it tough although some people do enjoy shopping like this. We like to get it all done one day a week and move on with other projects in our lives. Being here is what is keeping us on track especially posting the grocery shops where we need the most help in our budget. It’s simple, we forgot our coupons on the kitchen table that we were supposed to take with us in addition to what the wife had stashed in her luggage (a.k.a-The Handbag). We normally bring the coupon binder and leave it in the vehicle. Why do we do that? We found that if we actually brought our coupon binder in the shops with us that we would spend more money because we knew we had a coupon for this or for that. It came to a point where we would fall off course because we were pulling coupons out left, right and centre. It had to stop or at least we needed a better system. So we pulled the coupons we needed from the coupon binder BUT forgot to take them with us. Back Into The Shop We Go! So we are now back in Food Basics and know exactly where we need to go BUT, what mistake did we make? We went down an aisle to get to the back, exactly what we said we wouldn’t do. On the way down we notice some Kalamata olive oil on sale and even though we just bought gallons of oil we wanted to try this particular olive oil. (turns out it is a lovely flavoured oil) While picking up the cream we figured we should pick up another pack of pita bread and on the way up, heck we could use some mushrooms, plums, garlic, oranges and sour cream. That’s it we said and off to the cash we went. Even though we used coupons we still came out with a bill for $29.58 and all we needed was 6 litres of cream. It gets better because then I needed to pick up some International Stamps over at Shoppers Drug Mart. On our way to the back of the shop I notice the Adidas Body Spray on sale. I like to spray it on me after a shower and before bed or when I’m heading for a workout. The regular price was $7.49 on sale for $2.69 which I thought was pretty good just for some smelly stuff. I decided to pick up 6 bottles to the tune of $18.24 but saved a whopping $32.54 if I had to buy it at regular price. So, there you have it, we spent more money by shopping twice a week. This is the second Grocery Game Challenge week for March 2013~~ Post your Shop and you might be our next Grocery Game Winner! This week will reflect our second shop last week as well as a few things we picked up this week. Weekly Overview: We are still learning from our shortcomings when shopping and even though we tell ourselves No, we have to work harder at sticking to the plan. We’ll do better! I found where to post. But I’m too late. I will wait for the next one. Looks great! •Weekly overview: I was absolutely thrilled this week with 5 boxes of cereal at $1.00 each and one for free with 6 FREE breakfast item coupons! Even better my hubby loves mini wheats so being stocked up doesn’t hurt. I was sad that I missed out on the Glade sense and spray deal that made $5.00 (when I got home from Florida the checkout 51 deal was sold out and even though they would still have been free I didn’t want to buy them unless they made me money). I am on pace for being under budget this month which I am very happy with. I was also pleased with deals on candy that I can use for Easter (my MIL bought those plastic eggs you’re supposed to fill with stuff for Easter so I thought I’d rather use candy then chocolate). lol the candy really is for Adam! lol If it were for me it would be chocolate! lol I’m sure Ken will get into it though! We go through a ton of cereal here. Ken eats it every morning for breakfast and Adam eats it quite frequently as well. I sometimes have it for breakfast on the weekend. Sure, sure hahah… I know! We don’t go through it like we used to here. I’ve never seen those flavours in Canada and would really like to try them especially the Boston Cream Pie!! Astro makes a red velvet yogurt, it is okay. I’ve never seen it but I do tend to stick to a simple vanilla yogurt. •Weekly Overview: We travelled quite a bit these past couple of weeks. We ate out way more than usual. I thought I’d try keeping it in the grocery budget, instead of trying to find extra money elsewhere in the budget… we came in under budget in spite of all the eating out! I used coupons when we ate out, and we tried to carry snacks when possible. Family also bought some groceries for our stay – I appreciate their amazing generosity! Don’t ask me about our gas bill – I don’t know which part of the budget that will come from yet! Our weekly budget is $100 making our monthly budget of $400. 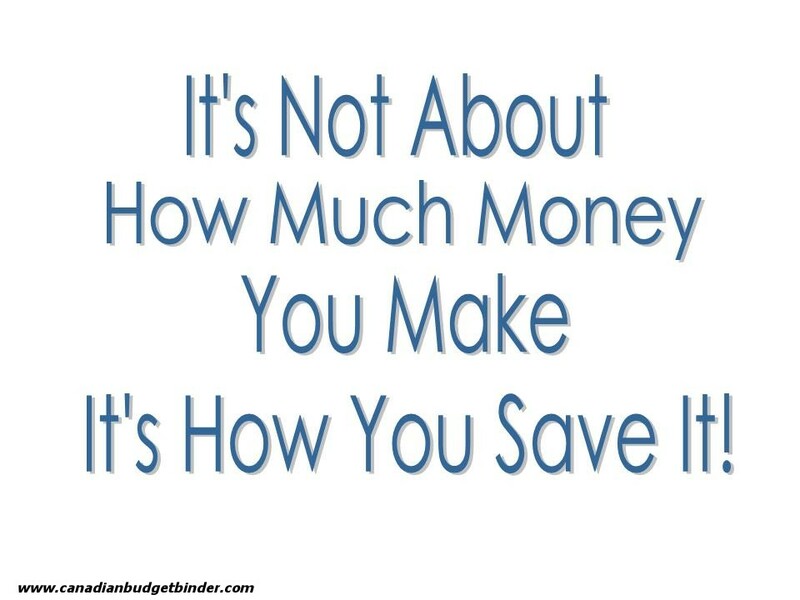 Good point, sometimes you have to spend in order to save… might have to be a blog post. We always pick the odd coupon at SDM for colds and flu just in case it happens at least we have a coupon for it. It happened to us one year and we spent more than we liked to on cough syrup. Ever since we’ve been taking vitamins, VD, etc… we’ve been fine. Do you have a birthday category in your budget? That cake sounds awesome… did you take a picture? I would have loved to see it. You still have $112 to spend for March which is pretty good. If you stick to it, plan your shops and say no when you have to.. you can kick this month no problem at all!!!! What’s your plan… Cheers Mate! You get ballot 14. Hope your daughter had a lovely Birthday! 2 bags Bugles (@2.98 each) = $5.96 << NOT ON MY LIST!!! 2 GF Corn Chowder (@1.88 each) = $3.76 << NOT ON MY LIST!!! 1 Imitation Crabmeat $4.98 << NOT ON MY LIST!!! 1 Boneless Ham Steak $3.76 << NOT ON MY LIST!!! Hubby DID NOT stick to the grocery list and will be reimbursing our grocery budget by $22.22 US …which I will call $23.00 and that’s more than half of his monthly spending allowance!! He's gonna be doing without his Tim Horton's and lottery tickets this month. There are consequences though to adding to the grocery list, without discussion, since the money has to come from somewhere! Although I only have $4.40 left to spend this month, I still have $5.00 in my hiding spot and a $20 Safeway gift card if we need some little thing. I expect we might be picking up more bread and milk in the US after the Easter long weekend on our way home – so we’ll see if I have to actually tap the Canadian reserve or I can just add those $4.40 to the US RESERVE. For simplicity sake, I am not going to get into making foreign exchange adjustments on the conversions, since we are relatively close to par these days. I have also decided that in 2013 every week that we are on vacation, I will transfer the Grocery Budget for that week over to the US funds reserve this year since we are shopping a lot more frequently in the US to pick up my Gluten Free products. I won’t be able to fund my reserve for Christmas spending BUT we never touched our 2011 Entertainment Budget and have $120 sitting there that we can use. I continue to set aside $10/month so we will have a total of $240 available to us in December towards any holiday season treats and meals out. The first week of Grocery Budget being transferred to the US funds Reserve will take place in May, when we are spending just over a week in the US. •Weekly Overview: Although I don’t like shopping, I tend to make a couple of trips a week as I try to get my shopping done during my lunch break from work. As a result I have to do little shops instead of one long big shop. It beats taking my daughter shopping with me on the weekend though as she tends to get me to spend more. I received my first cheque from Checkout 51 so I was able to use it this week. I’ve decided not to deduct the rebates from Checkout 51 from my totals, I will just deduct the cheques when I actually receive them. It’s easier for me to do it that way. As for my shopping this week, I only got to use 1 coupon as I had no coupons for anything else. Most of the items I did purchase were on sale however so I still saved. Got a great deal on the ground beef from No Frills. Thanks to Checkout 51 I am now under budget for the month. Hopefully I can keep it that way. Amazing… it’s only Sat. and here I am posting on the laptop and not the i-pad at the last minute!!!!! I went over again but not as much as last week so I’ll take it. All were at Foodland as I wasn’t out of town this week. So I went over by $16 this week, there were two larger shops instead of the usual 3-5 smaller trips. Not sure yet which way works better but I’ll try to stay with a couple larger runs. Spring is coming so I can use the cart to bring everything home again. I might have to do a weeks worth at other places as I have a few coupons that I can only use at the [place out the east end, and we are in Stratford on Monday for a follow-up appointment. I’ll look over the ad for Sobey’s and Food Basics and see if it’s worth heading in that direction or if I even can get there, depends on how some one is feeling.He’s not one to sit in the truck and wait. Such is life….. I’m still determined to balance this out over the long term, week to week isn’t going that well but Easter is coming too and there is a turkey in the freezer for then. That bird should do us for 3-4 days plus what ever stock and such that gets fired into the freezer……. Weekly Overview: I didn’t do too bad this week. I must admit I am much more aware of my shopping habits. I am trying to eliminate multiple visits to the grocery store throughout the week, unless it’s for one or two items. While shopping, I also ask my self if I really need something or can it wait. It’s actually been working! Ackee is a Jamaican fruit that is prepared in a skillet with minced green peppers, onions, tomatoes and salted codfish (if you wish). Either you absolutely love it or hate it. It is one of my favorite dishes. It is usually eaten at breakfast but we prefer it at dinner with white rice. I’m not against coupons, but I need a source that is easy for me to find and use them. Any suggestion? Do I have to go back to cutting them out like my mom? I hope not. The kids had McDonald’s again. I usually make it a reward for homework and/or chores, but this week it was just because of the lack of planning. I need to find a better deal on the Bush beans. How do you get them at such a good price? As far as the cereal, I agree the prices aren’t that great…believe it or not that was a buy one get one free! I am working on shopping once or twice a week for groceries. I’ll plan that out for next month. Thanks for commenting. Sounds interesting thanks for lettting me know. We had a coupon here for $1 off a can and they were on sale for $1.29 but now I found out they have far too much sodium in them so we will eat them in moderation. week overview: stockpile is decent, freezer has enough meat for the week and probably more, booze is stocked full, so we didn’t need much this week. Going back on budget for the rest of the month. yay! I love how you just sneak those cookies in haha. Have you made your own cookies before? You should try my cowboy quickies…. they are so good as they are a thicker cookie not a flat one. Depends what you like though. Is there a cheaper time of year to shop in Guatemala or are the prices steady all year? •Weekly Overview: I will admit I was not careful this week. My weekly newspaper did not arrive and I never went on-line to price check. I was not in the city much due to write off of my car. I also went shopping with Dat and his dementia was in total confusion. What flyers I did have I realized I had left in the car when I was half way through the store. I could have done better on the cheese. I also did not have a list other then need of dog food and fruit I thought I needed little. $71. later! But still within budget. Mr CBB…wait until you see my post this week! I sent Larry to Costco yesterday for 2 items but only 1 was a grocery item. He came home with exactly 2 items. Gotta love his shopping blinders!! He never even bothers with a cart. How many folks do you see in Costco without a cart? He did come home and ask me why I didn’t have ketchup on the list though, seeing as we had run out. What a guy! He wasn’t sure it was in the budget so he didn’t pick it up even though he knew we were out of it. My hero! Wow you must be proud I don’t think I have the same willpower as Larry does. I look forward to your post. Not this time, but our previous shopping trip, I remembered I had a coupon as we were leaving the store. So of course I went to the service desk to apply the coupon. Took me 5 minutes and saved 80 cents. Was it worth it? Yes. Yes, it was! For sure, we would do the same, it’s money! Heck I even found a quarter today in a trolly that had to be put away so I did it! I’ll be looking forward to your post! It’s nice to see other Bloggers joining in and we have a few already! Calculate your month at 4.33 weeks instead of just 4, and you are already set for the five week months as your budget will cover every week, even when a week overlaps two months. Thanks for sharing that idea Lindsay! I am not shopping this week, not going near the store. Even if they are giving away chips for free, I’m not going there at all. With less than $100 left for the month, I don’t want to spot any good deals! Good for you! Stand tall and stay away from the shops!! Let me know how that works out for you. I’m rubbish at it. I tend to go multiple times as you know but we have a habit of running out of milk!!! I’ve made the comment about getting a cow before…. The store is across the street and the boys usually come with me to help carry so if I happen to forget my coupons I can send one of them back for the coupons!! I do the same as you for the most part…. I fish out the coupons I plan to use on that shop and carry them with me. Given that I know full well I’ll be going again to the store I usually will grab a couple of what is on sale and then when I go back for more milk I can get more of the deals. This works well if I want to stock up and there is a limit on the item. I get around the limit that way…. If I’m out of town I have my grab and go bag and that is where I keep the coupon binder. There is a grocery bag in there too. Plus a book for the waiting rooms. So if we have an appointment in Stratford, say, I grab my bag on the way out the door and I am prepared to wait in the waiting room and then if there is some good deals at, say Sobey’s, we can stop on the way home, get what ever,with or without coupons but I have them if needed, I have my coupons and a bag or two and home we go to unload… Saves on gas doing it in one trip…. You are lucky that you can just send the boys across the road to get your coupons if you forget lol. I think it would difficult for me to stay out of a grocery store if I lived across the road from it like you do. So you seem pretty prepared for your out of town shops as well which is good. We need to be that way in order to stick to the budget and to make sure we have what we need, when we need it. It was a quick trip to the store, this week. I couldn’t pass on pre-shredded cheese for $3.88 – such a time saver! Great job on the Adidas body spray Mr.CBB! I hate paying full price for body spray, I aim to spend no more than £1 but that’s often overly optimistic. I wish I could find it for a pound here!! That’s why I grabbed it when I did. Might as well because I know I will use it. Wow $2800 for the entire year would be ah-mazing. We currently spend $500/month almost exactly. We’re a family of 2.5 (2 babies, 1 of whom does not require grocery spending). We don’t use coupons though, we’ve had a hard time with them. We don’t use many coupons but if we have them and it’s something we use, we will get it. There are so many awesome coupons in Canada contrary to popular belief and not all crap coupons. I have ones for milk, bread, fresh fruit, vegetables, butter, yogurt, cream, coffee, tea, etc. It’s a misconception for most that watch that extreme couponing and think all coupons are for crap food which it’s not true. We all have choices and if one chooses to buy all boxed convenience foods and chocolate bars for their meal plan then so be it, but that was a choice! Why did you have a hard time with coupons? Where are you located? We had a hard time with them, because we would basically cut all of them out every week, sort them and put them in a binder, then 95% of them would go unused, so the effort outweighed the savings. Right ok.. what wrong with making a banana trifle with the nilla crackers for company? lol.. I would but I see what you mean. It would be nice to have buy 2 lbs bananas get 2lbs free!! Now that’s a coupon! We only order what we know we will use and cut what we may use otherwise it doesn’t get touched. We don’t waste our time either but crap if we cut every coupon, bloody hell we’d be here for ages. I’m glad it works for you! We add digital coupons, price-compare everything. I will always by the option that is less expensive per ounce, pound, etc. That’s exactly what I do. I always calculate the math. Sometimes they will have meat for example with $4.00 off stickers BUT if you check the price per kilo against the price per kilo of the same meat not in the reduced bin it’s cheaper per kilo. They can catch us if we are not paying attention that’s for sure! See, exactly what happened to us and we need to stop that now and understand why we do that. We need to learn that if we go back in we don’t get anything but what we need. You’re funny! Oh crap, I forgot about that. I have to go see how much we had leftover in Feb. Thanks for reminding me. Lol, that’s funny but we have to stick together as a team when we are married to stick to the finances so it’s good that your husband is like that. If we were to go back in for those limited offer deals we would need to learn to get only that. That is the problem and you will see WING posted she did the same thing as us today. Many people do it without realizing it and spending more money than anticipated. Sounds to me like Larry better buckle up for grocery shopping with FPC’s lol…. we make a list too we just need to make better decisions when it comes to going in when aren’t supposed to be there or stopping ourselves from getting more than we need. Thanks for the inspiration!